Environmental Thoughts - Rochester, NY: Remember, no matter how divisive Climate Change is… there’s the heat. Remember, no matter how divisive Climate Change is… there’s the heat. 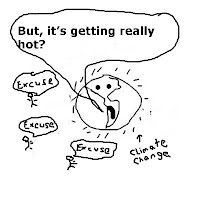 · Even if you and your family and friends don’t want to talk about Climate Change, there’s the heat. · Even if you think your one geoengineering or tax solution will fix it all, there’s the heat. · Even you don’t believe in Climate Change, there’s the heat. 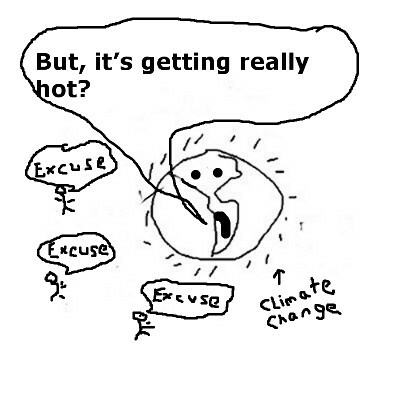 · Even if you don’t believe humanity has the moral or physical capacity to transition to another energy source that doesn’t warm the planet, there’s the heat. · Even if you think there are more important issues than Climate Change, there’s the heat. · Even if you think your enemies are using Climate Change to set their outlandish agenda, there’s the heat. · Even if you thought the Paris Accord and the previous twenty climate talks were a waste of time, there’s the heat. · Even if you think you’re so well off you won’t get the worst of Climate Change, there’s the heat. · Even if you don’t care about other people in other nations and future generations, there’s the heat. · Even if you think those people demonstrating in the streets with all their crazy signs about the urgency of addressing Climate Change are silly, there’s the heat. · Even if you think there have been many other climate changes and our own species were made stronger by these changes, there’s the heat. · Even if you believe in the science behind Climate Change is real but don’t think it will be that bad, there’s the heat. There’s the heat (energy) building up in our climate system and if we don’t stop dragging our feet it’s going to get hotter than hell.